GOVERNMENT has said there is no need for fuel panic buying as the country has adequate supplies and people should ignore social media claims that there will be a shutdown of petrol stations as this is mere dirty politics ahead of elections. Addressing a Press conference in Bulawayo, Energy and Power Development Minister Simon Khaya Moyo urged Zimbabweans to ignore false messages about fuel shortages and desist from panic buying. He also announced that Government had reduced the petrol blending ratio from E20 to E10 with immediate effect until August 8 to allow suppliers to build their ethanol banks as they were facing logistical challenges in the transportation of the liquid from Chisumbanje to their deports. Minister Khaya Moyo said the Beira to Msasa pipeline was pumping fuel every time, with three large vessels carrying fuel for the country expected to dock this week to add on to the stocks that are already there. "I wish to assure the nation that the country has and will continue to have adequate supplies of fuel. "Accordingly, there is no basis for the panic buying of fuel such as we continue to witness as we have adequate stocks to meet our demand and we continue to import through the same pipeline and by road 24/ 7," he said. "Given the above, from a bulk supply point of view, not only do we have fuel stocks in the country, but the whole supply chain is active with no discernible material bottlenecks or challenges except for an inadequate supply of Ethanol to blend at E20. "In order to allow for fuel companies to build up their own ethanol stocks, the blending level has thus been reduced to E10 until 8 August." Minister Khaya Moyo said the Reserve Bank of Zimbabwe had on Monday allocated US$15 million to fuel retailers, with assurances that similar forex releases would occur every Monday to allow fuel companies to plan their fuel purchases for the ensuing week as well as their logistics. "In addition to the cash forex allocations to fuel companies, the RBZ has also arranged Letters of Credit for some major oil companies totalling more than $26 million. It is also important to note that one of the oil companies has an appreciable open credit with its international fuel supplier. "I must also state that there is a social media message assertion that is currently doing rounds, claiming that petrol stations will be closed on Friday 27 July 2018 (yesterday). I wish to state categorically that this is not true and there is no basis for such a shutdown. "Petrol filling stations shall operate as normal and as usual clearly there are some elements within our society who are bent on causing unwarranted confusion, alarm and despondency. 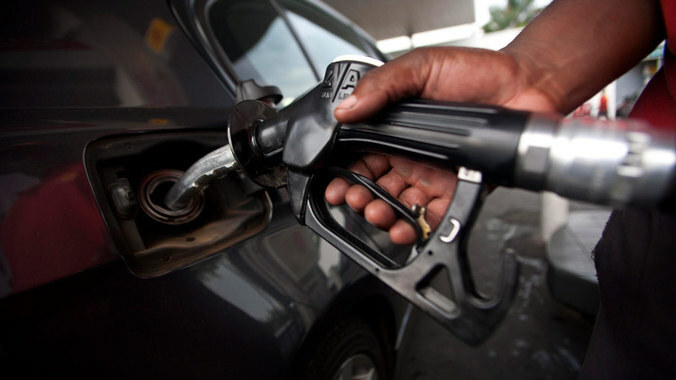 The truth is that petrol filling stations shall remain open to disperse fuel as usual," said Minister Khaya Moyo. He assured motorists that there was no need for panic buying as a result of the social media messages as there was enough fuel in the country. "So you can be rest assured that we are on top of the situation as a ministry and as Government and we can assure the entire nation that there is no need for panic buying. "I am aware that some people thought it necessary to fill their tanks as quickly as possible because of some mischief fuelled by social media. There is no need for that, the nation shall continue to operate as normal and indeed we are very much on top of the situation," said Minister Khaya Moyo. He condemned those behind the social media messages, saying they were desperate and playing dirty politics. "I want you to appreciate that anybody who goes on social media claiming that service stations will be closed on Friday is playing dirty politics. It's cheap and dirty politics. "If you hold the nation to ransom by spreading such lies, honestly you are not a good citizen of any country," Minister Khaya Moyo said. "There is so much peace in the country, we've said let there be peace in the country, nobody should be harassed, and there must be no kind of violence."